With Google Chromecast Audio I can now play music to just about any speaker in my house (even my old ones) simply by using my phone, laptop or tablet. Pretty amazing right…I guess that’s to be expected from the great minds at Google. For me this product is especially exciting as my husband had purchased nice speakers over the years for the family room, bedroom and even the backyard area, but they had sadly been getting much use with us being so tied to our mobile devices and laptops and the apps on each of them. Google Chromecast Audio bridges that gap, so now when I want to play Pandora or Spotify I don’t have to huddle around my computer or try to prop up my tablet with its subpar sound. I can use these, YouTube Music, podcasts or anything else with the full bangin’ sound of our speakers. A major leg up on the competition is the fact that Chromecast Audio doesn’t use Bluetooth, it instead uses WiFi. With that the sound quality is brilliantly clear hi res. (I suggest you personally compare Chromecast side by side with a Bluetooth alternative and hear for yourself the difference). 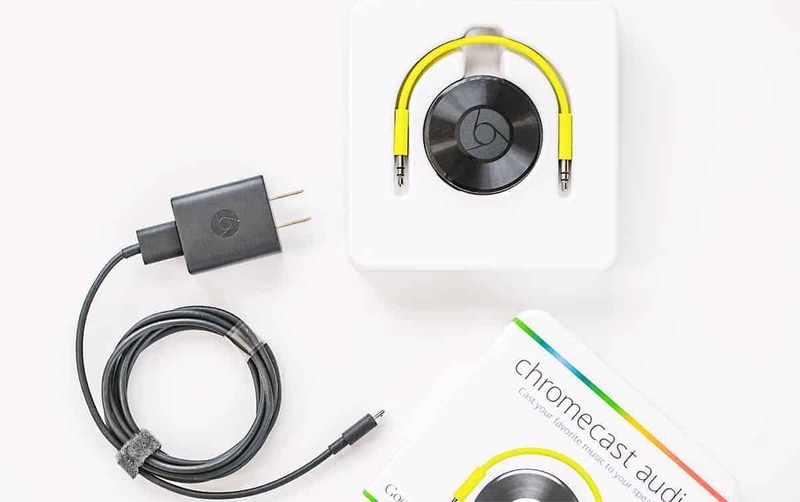 The features from Google Chromecast Audio are alone worth the buy. I had high expectations and Google delivered, with play, pause and volume controls throughout our entire house. We verified that it didn’t drain the battery and that we could still text and call and it worked perfectly as advertised. I had seriously been considering selling our speakers at a garage sale, where I’m sure I would have gotten 10% of what we’d paid for them. I really didn’t want to do that as they’re something we enjoy and are actually not very dated and put out much better sound than my pc (and of course our mobile devices). Another big bonus is the ability to be able to sync up all of our speakers in the house to play the same thing. This is great as I again won’t feel the need to carry around a tablet if I’m doing things like house cleaning (gotta have my groove going for that!). For parties this is an especially great feature, queue up a playlist and have it rocking the whole house and even back yard. We just cancelled our gym membership and are trying to do workouts at home, this is working out great for that as well as tiny sound just doesn’t work for a pumped up workout. 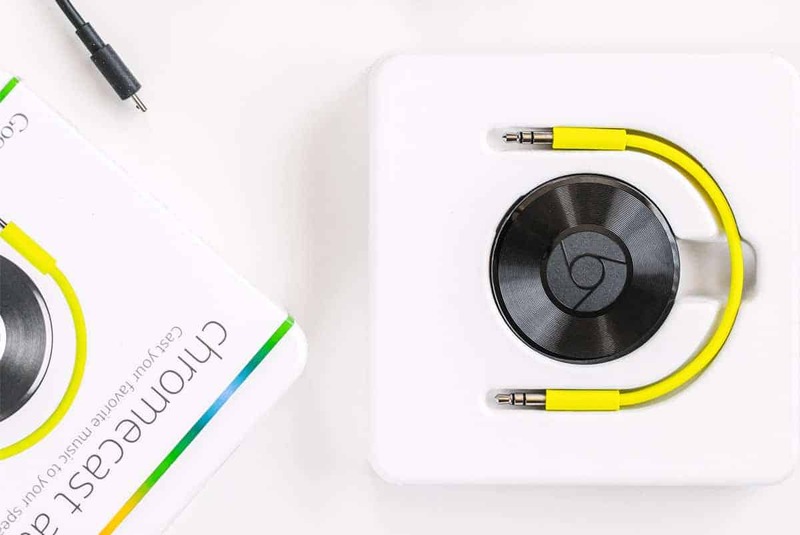 The price point on Google Chromecast Audio is much less than I had expected, thanks to Best Buy for carrying another killer product that will make life easier and more fun!